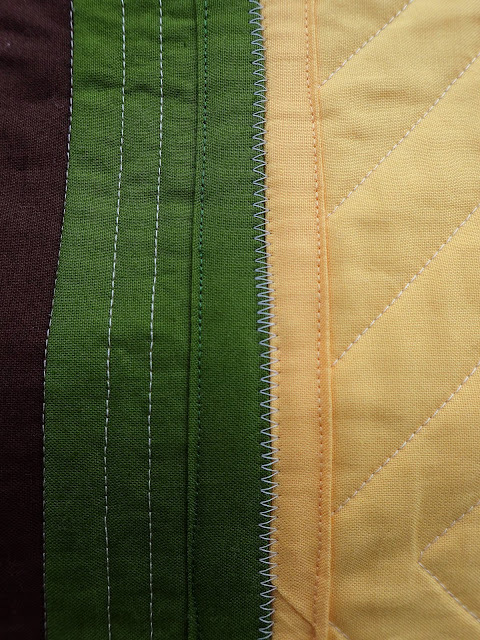 Even though my quilting experience goes back many years, my use of solid colored cotton for projects was limited until a couple of years ago. I caught glimpses of people’s quilts with solids and realized that I wanted to play! Several projects have been started, some completed, and then I was asked by RJR Fabrics if I would like to participate in their What Shade Are You Blog Hop. The answer was a resounding yes! 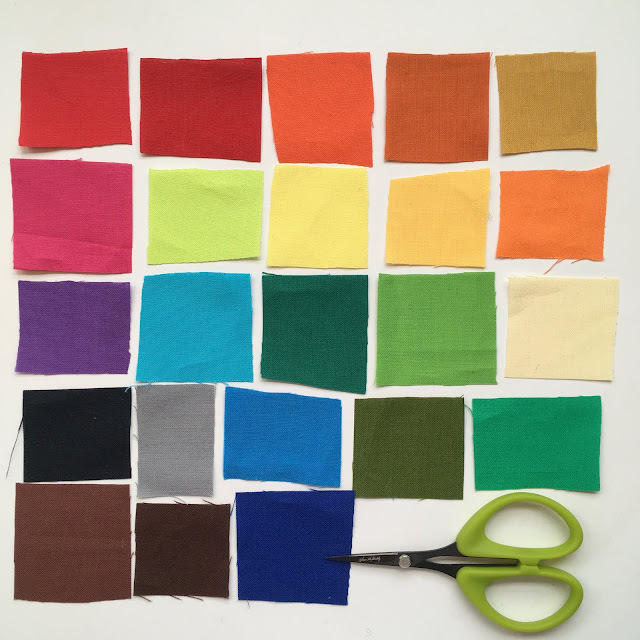 I had already sketched out a project that I wanted to make with solids and after reviewing the abundant array of colors on RJR’s color card, I knew this project would have the variety needed to pull it off. In answering the question, What Shade Are You?, my answer is that I am shade competitive...but just a shade. 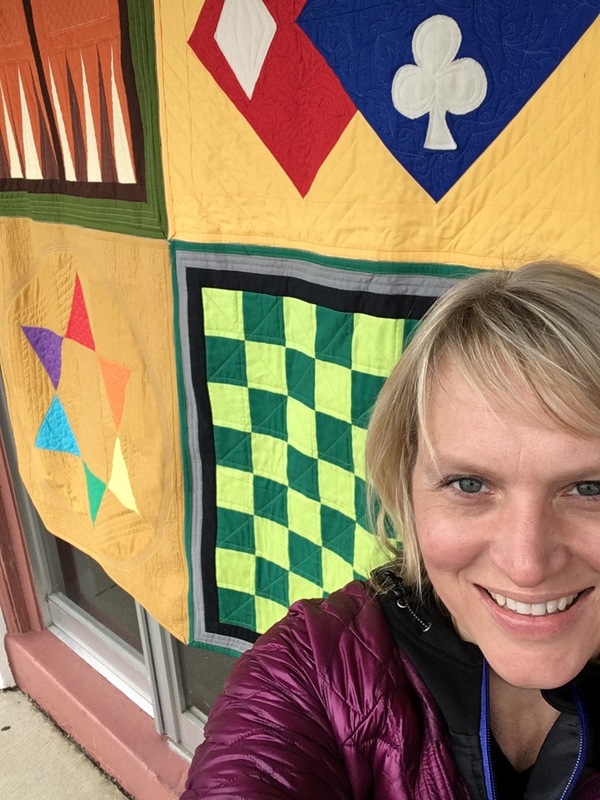 My solid fabric quilts have ended up being stories about my life and experiences. This quilt is no different and reminds me of happy times in life. My mom taught me to play backgammon and Chinese checkers when I was a kid and my aunt and uncle taught me how to play Othello (yes, that’s Othello in the bottom right corner). We played these games often. Just a quick round or two but mostly 3 because we wanted to see who won the best 2 out of 3. Growing up, I played cards with girlfriends at camp, at sleepovers, or solitaire by myself. When I was dating my husband, I was introduced to Euchre. It’s against the rules to live in Ohio and not know how to play this game. At least that’s what I was told when we moved here and I was just compliant and learned - haha! Our family and friends play all kinds of games on a regular basis when we socialize. 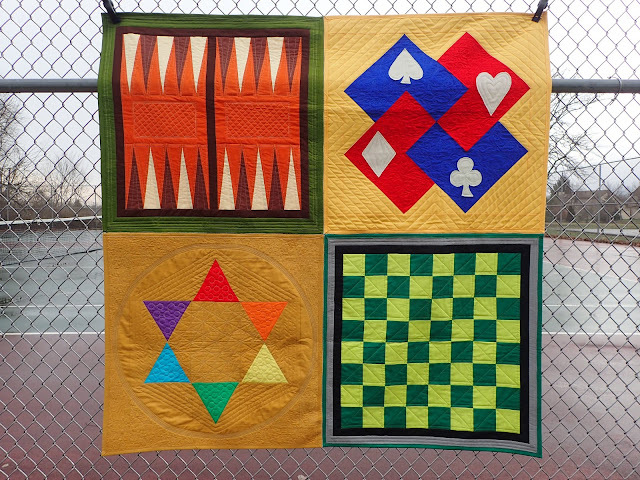 My quilt, Game Night, originated from these happy times. Backgammon was made from a foundation paper piece template that I created. Top right is the traditional block, card trick. Chinese checkers is based on the Star of Bethlehem block and I created a foundation paper piece template for the triangles. Othello is a classic checker board pattern. RJR’s Cotton Supreme Solids are fantastic for many reasons. As mentioned before, the color choices are exceptional and just as vibrant in person as they are in the pictures. The weight of fabric and how it lays makes it so easy to quilt. There is minimal fraying or stretching. 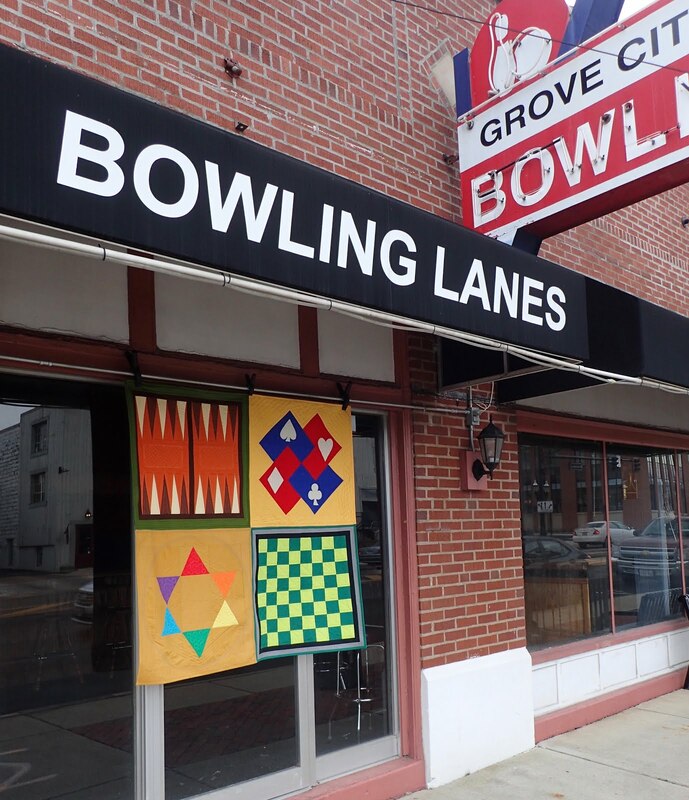 Using RJR’s solids for this project was exactly what I needed. Last year, a quilt friend of mine showed a “potholder” quilt at guild. I was intrigued. Potholder quilts date from the US American Civil War and were created from individual blocks that are completely finished and bound then stitched together. I had wanted to try this technique and this project was ideal. 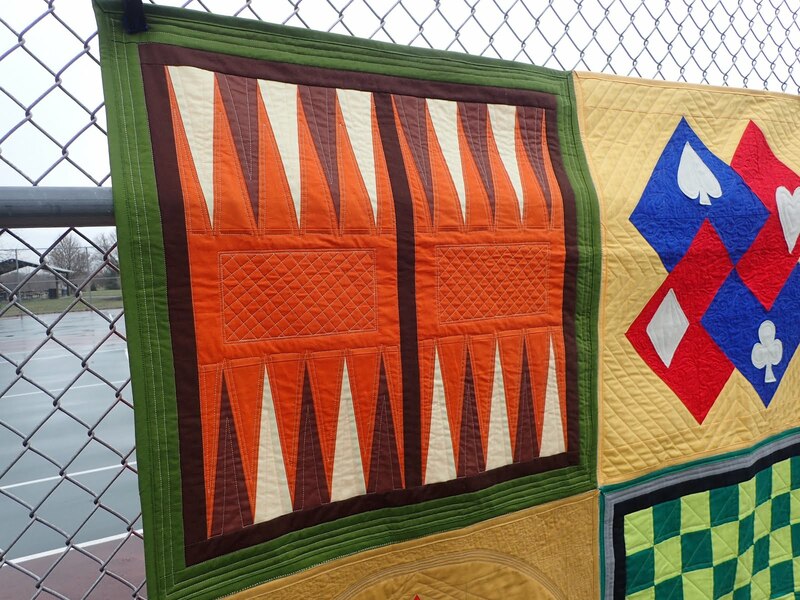 Constructing the quilts was fun and sometimes challenging, but the quilting was the best part! 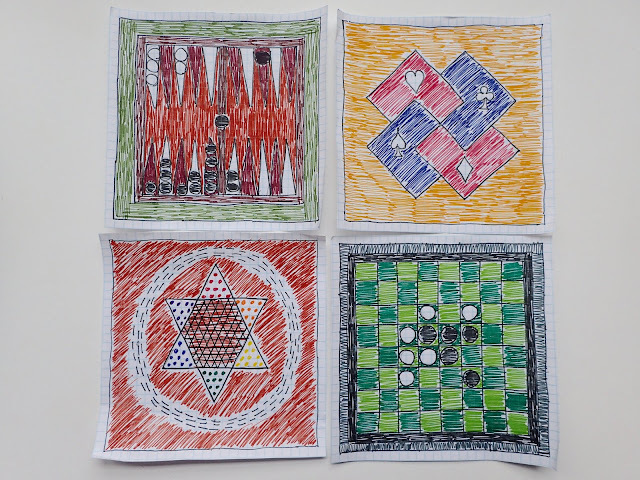 I tried hard to elicit the feel of the different games through the quilting. Both backgammon and Othello have fairly minimalist game boards so there are a lot of straight lines. Chinese checkers is round! 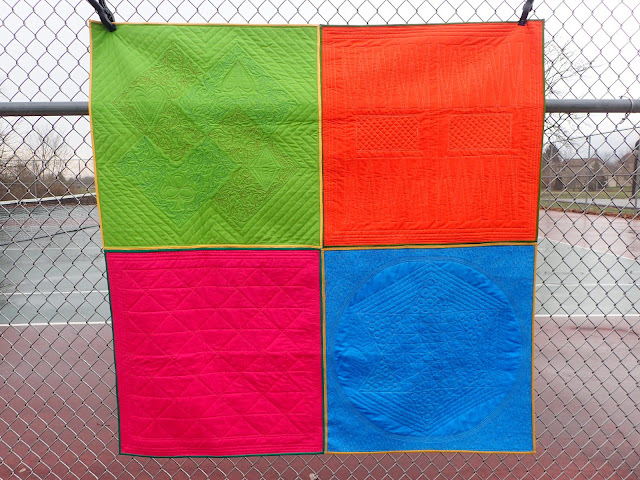 I was thinking and talking about how I could make the circular game board work and my daughter suggested quilting it in. Creating an image with the thread was especially satisfying. 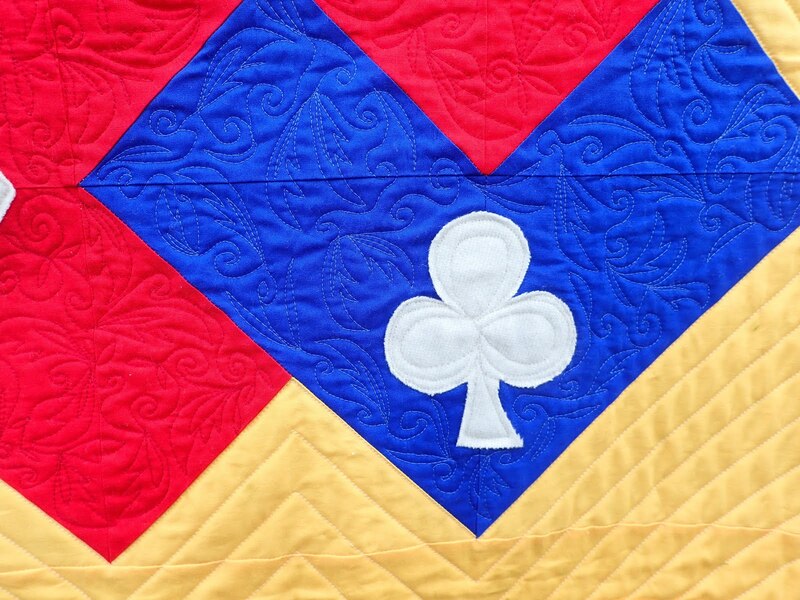 When I think of traditional playing cards, I think of the swirling designs on the card backs and tried to replicate that with free motion quilting. The fabric is so vibrant it almost looks electric! The only rule for picking the back was that it be bright and fun. I love the way that RJR’s solid fabric showcases the quilting. Are you ready to have fun playing with RJR’s Cotton Supreme Solids? Head on over to Instagram and find @rjrfabrics or me @lesleystorts for details about a giveaway with all of the colors I used to create Game Night. You can also find me on my blog at StortsMarket.com. Giveaway closes on both IG accounts at MONDAY, FEBRUARY 6, 7PM EASTERN STANDARD TIME. 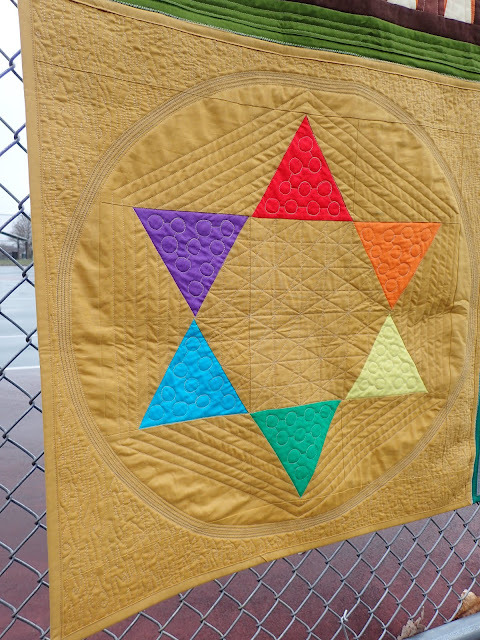 This quilt looks like a lot of fun to make, and to play with. The colors are fabulous. Thanks! I did have a lot of fun making it. I enjoyed the whole process!